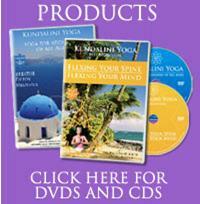 Kundalini-Yoga is a dynamic form of yoga that awakens awareness. Combining sets of yogic postures and movements (asanas) with meditative focus, breath work(pranayama) and chanting (mantra). In addition to strenghtening the health and wellness of the physical body, it is very useful for emotional balance, mental clarity, stress relief and personal and spiritual transformation. 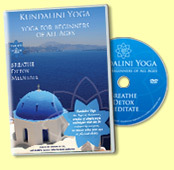 Kundalini Yoga is the the original and most powerful system of yoga. It can be practised by anyone, no matter of your age or your physical ability. Breathing, Movement, Meditation, Mantras, Mudras, Sound, Stretching & Relaxation to work on every aspect of your body, mind & spirit. This is for everyone who is interested in increasing vitality, flexibility and strengthening your MIND to be CALM & STRONG in the face of stress & change. 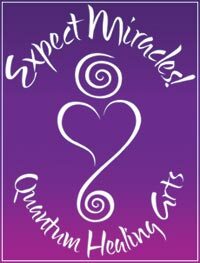 The other is as if EVERYTHING is a MIRACLE !!!"